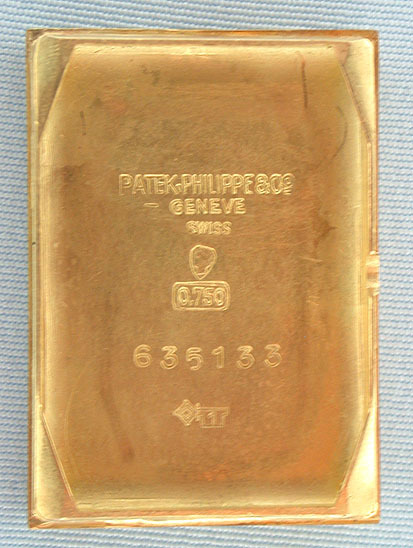 Fine Swiss Patek Philippe 18K gold vintage wrist watch with hooded lugs circa 1944. 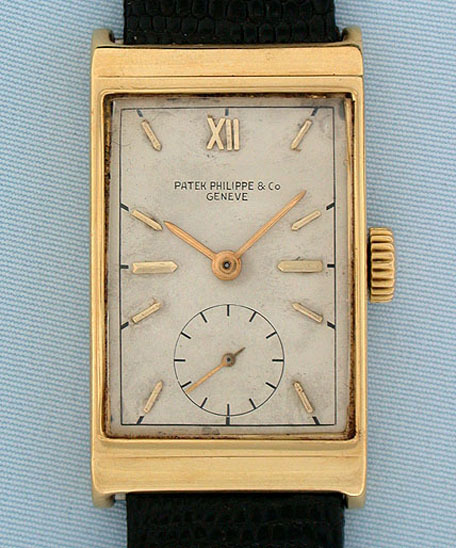 Original silvered dial with natural oxidation and attractive light aging and with fired hard enamel markings and applied gold markers. 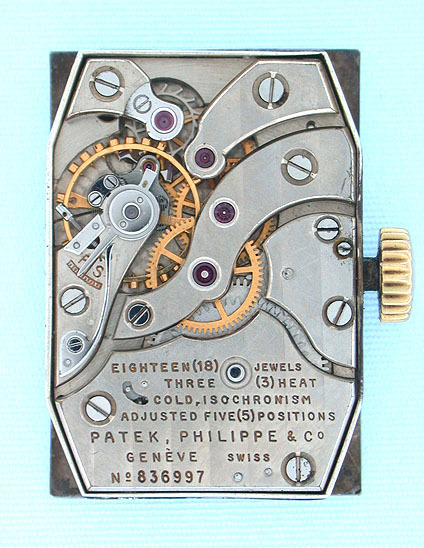 Nickel 18 jewel 8 adjustment calibre 990 movement. 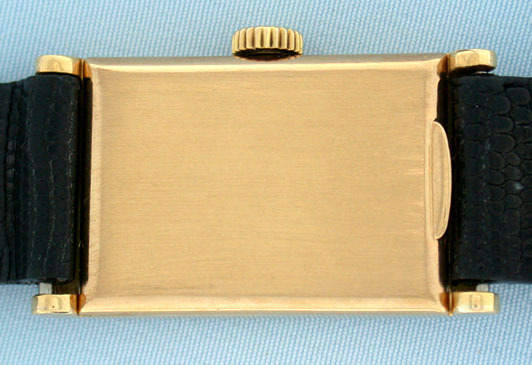 An elegant restrained design.